Hello Christmas! Once again I'll tap the children of the 70s to remember this classic with me. Although I never owned this book as a girl, I doubt there are many 30-somethings out there who don't remember the 1977 television adaptation of the book by Jim Henson and his clan. It's a Christmas classic and one that my son already knows by heart (though sadly without the Kermit the Frog narration that was removed from recent releases due to legal reasons.) It's only since I started collecting that I've come to love the original book created by the much-loved husband and wife team, and understand why this darling tale was chosen as a stand out in the first place. It's amazing how closely in style and story the film does mirror the book, and flipping through the pages now, it's hard to not weep as this "Gift of the Magi" story unfolds. 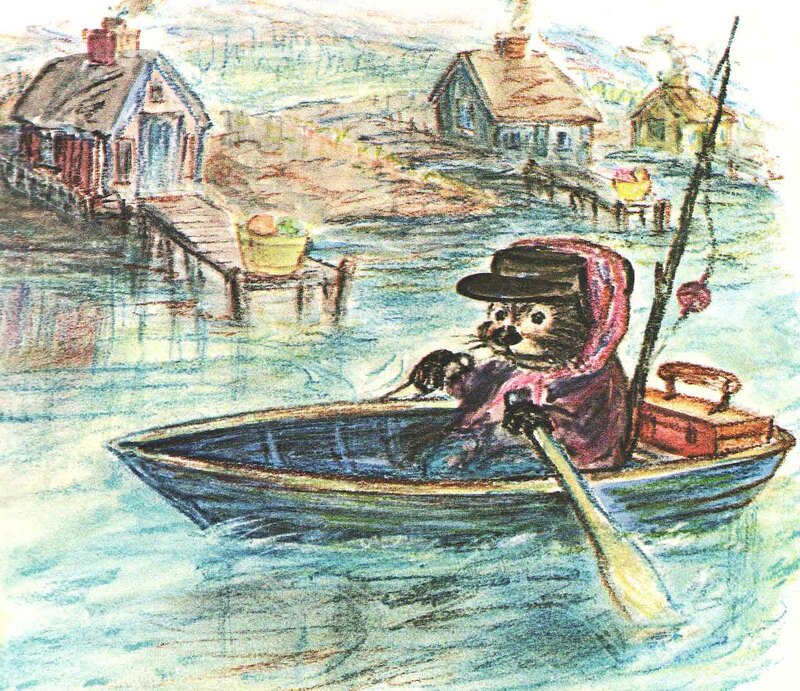 Emmet Otter's father was dead, and his mother took in washing. 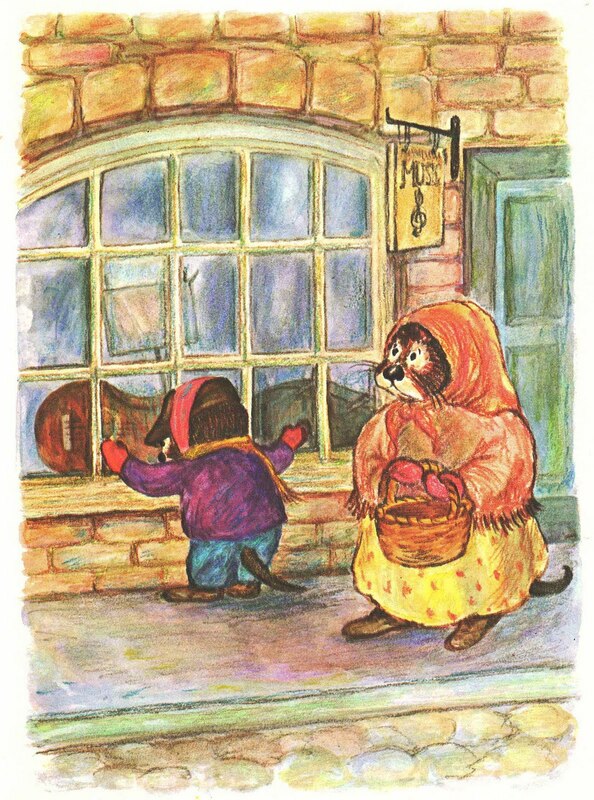 There was no electricity out in Frogtown Hollow, and Mrs Otter did her washing with a washboard and a washtub, all by hand. Emmet rowed up and down the river from Turtle Bend to Osprey Point, picking up laundry that Ma's customers left on their boat landings, and delivered it when it was done. Emmet hauled the water and did the chores. He cut the firewood and he stacked it. He went out with the tool chest Pa had left him, and he did odd jobs around the neighborhood. Everyday he went out fishing. So there was always something on the table, and between the two of them Emmet and his mother paid the rent and scraped along somehow. So yeah, things are pretty grim for the pair, but with a few happy songs and a ton of love, the two muddle through. When Christmas comes around, Emmet wants nothing more than to buy his mother a piano and Ma dreams of getting Emmet a guitar with real mother-of-pearl inlays. When they each hear separately of a talent show with a big cash prize in the next town over, they decide to take a chance on winning. Ma hocks Emmet's tool chest to buy a nice dress to wear for her singing debut, and Emmet puts a hole in Ma's washtub so he can join a jug band. 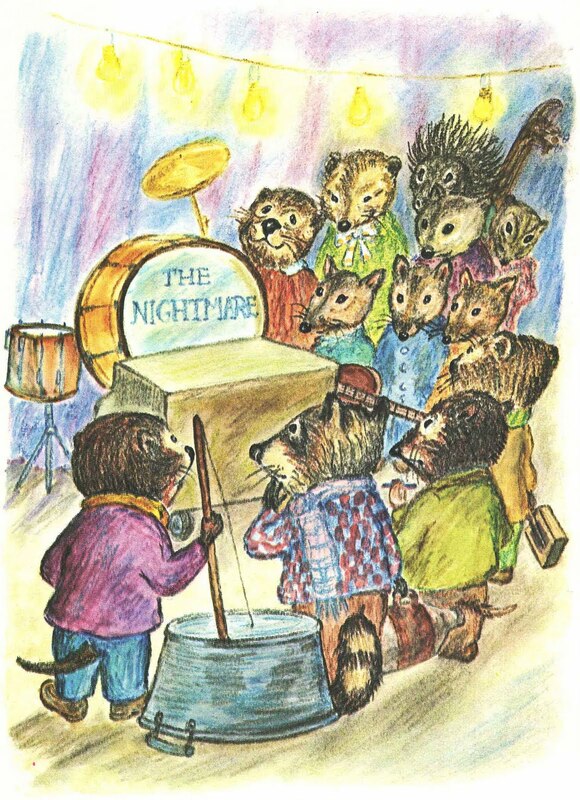 However, all does not go well when an act called The Nightmare upstages them both with fancy costumes and electric instruments, and they are left empty handed with no winnings and no way to earn a living. I won't give away the happy ending that comes here, but just know, it's a great story to open up the conversation of poverty with your child and get them talking about what sort of things they can do this holiday to help others. The drawings are so incredibly dear and the sentiment so heartfelt, the book is a must-have addition to your library to help combat the consumerism and excess that plagues the season. In the end, no matter what you have or don't have, it's true love that conquers all. Well, that and a little snake oil faith. 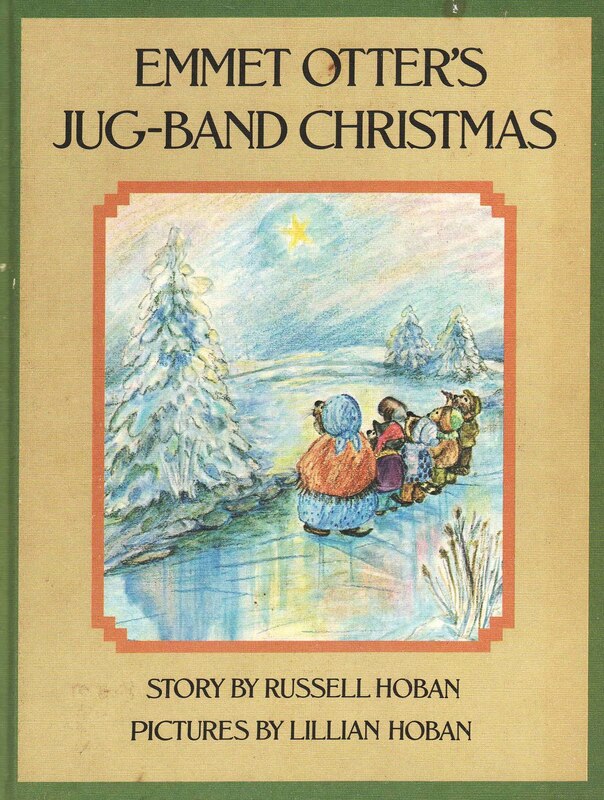 I love Emmet Otter's Jugband Christmas Jim Henson special. I watch it every Christmas. Sadly, I had no idea it was a book. I'll have to check it out! Just found my old childhood copy at my parents' house last month! I was so excited that they still had it. Ok, I never knew it was based on a book!!! My brother and I loved the television special, and last year I was finally given it as a gift. Can't wait to watch it again this year with my kids. AND I can't wait to find a copy of the book, now! Thanks! Do you know Harvey's Hideout, also by the Hobans? Another totally wonderful blast from the past that my kids love. Never heard of Harvey's. Googling now! Thanks for the tip. First. 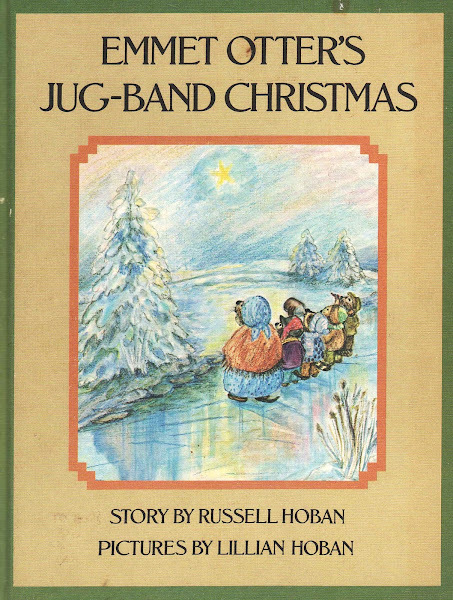 there is the book by the gifted Hobans and then Jim Henson's DVD of Emmet Otter's Jug-Band Christmas, which we have watched over and over. What gifts they have given us!!! I'm so glad you featured this book! When I was pregnant, my husband and I pondered names. I suggested Emmet, not thinking of this story...just thinking of names I liked. The only Emmet my husband could think of was Emmet Otter. So it's kind of a joke to us that we named our son after Emmet Otter. Such a wonderful book! Although more often than not I'm asked if we named him after the Emmett in Twilight (go figure). I have never heard of the book or the TV special before, but maybe that's because I live in Australia. 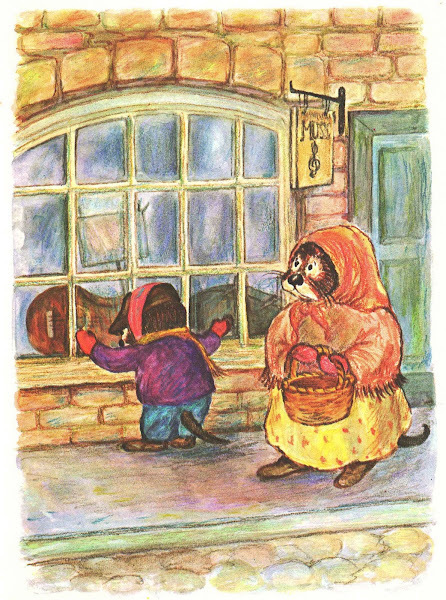 I recently read Russell and Lillian Hoban's heartbreakingly gorgeous classic 'The Mouse and His Child' and loved it. I won't be reading it to my little boys until they are old enough to handle it though! The illustrations in Emmet Otter's Jug-Band Christmas look divine. Thanks for posting it.